Significantly, the analysis relied on information gathered through multiple sources, including GYLA’s long-standing criminal trial monitoring program; some of GYLA’s own litigated cases; decisions requested from multiple courts; statistics and other information from courts; MIA; Prosecution, as well as interviews with victims, their lawyers, police and prosecution officials and judges. 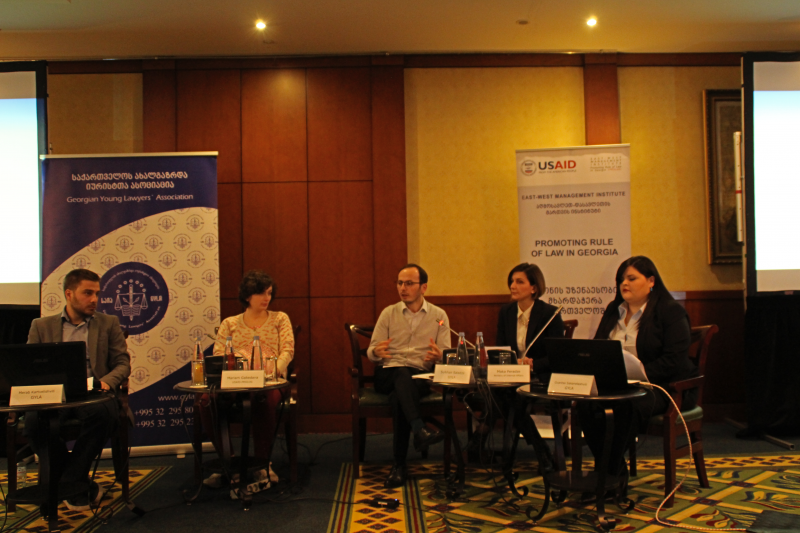 This allowed GYLA to present a comprehensive picture of domestic violence and violence against women in Georgia. 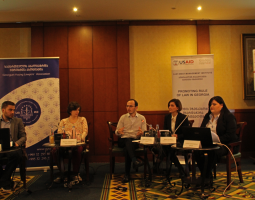 The panel discussion of the findings was enhanced by the participation of state counterparts from the judiciary, MIA, Prosecutor’s Office, and the Ombudsman’s Office. Such open and frank discussion of both progress and shortcomings will undoubtedly further the shared objective of improved protection of human rights and women’s rights in particular.